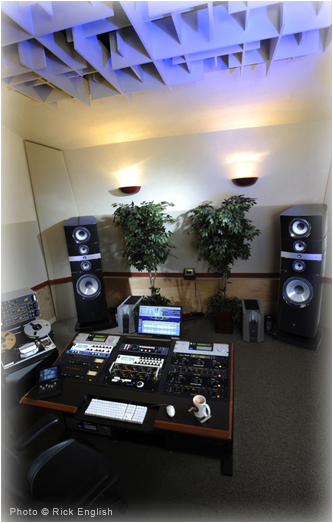 Creating accurate and inspiring listening environments for decades. Since 1993 Bob Hodas has traveled the world tuning well over 1000 rooms. His clients include studio owners, producers, engineers, and discriminating home listeners. Hit mixer David Pensado, producer Tricky Stewart, composer Danny Elfman, and recording artist Stevie Wonder are among his many clients who demand accurate listening environments and speaker systems. His work has taken him from Tokyo, for Sony Music Entertainment, to London for Abbey Road Mastering. Stateside he has tuned rooms for NRG Recording, The Record Plant, Blackbird, and Lucasfilm to name but a few. His depth of experience gained from his background as a musician and recording engineer has given him a unique and sought after perspective on solving speaker system and room acoustics issues. Read the full story at The Absolute Sound. Learn more about The Room Tuning Process and explore Audio System Product Solutions.